I spent the holiday weekend eating grilled meat, and lots of it. Too much, in fact: This, I think, is the quintessential American dining condition during weekend-long seasonal festivities throughout the year: We eat too much meat, and typically need a break afterward. Which means that tonight is pasta night, preferably something simple and in a tomato sauce. And, like so many people, when talk turns to, say, spaghetti bolognese or other Italian classics, Chianti is my wine of choice. Unfortunately, this most famous Italian wine is also perhaps the most misunderstood, and even today it remains stubbornly mysterious to the majority of consumers. Perhaps responding to this, The Wall Street Journal ran a column this past weekend on the current state of Chianti. The results were generally promising, especially assuming consumers are willing to experiment a bit and explore the region. Read the entire article, linked up here, for a rundown of the highs and lows of the tasting. 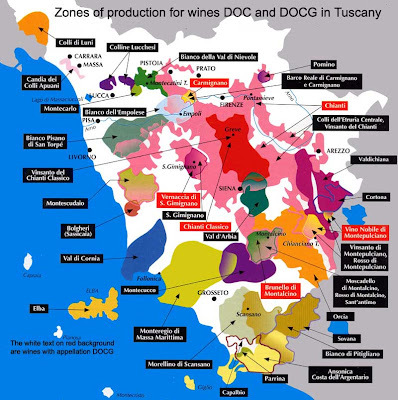 Also, make sure to visit this link, the Italian Trade Commission’s Chianti primer at ItalianMade.com, an excellent resource for all things pertaining to the food and wine of Italy. Finally, it may not provide all that much information, but this video, posted several years ago on WineSpectator.com, is, nonetheless, a beautifully evocative snippet of what is justifiably one of the world’s most famous and beloved wine regions. So tonight, as you begin weaning yourself off of the grilled-meat-centric diet of the past several days, pop the cork on a bottle of Chianti and rediscover all that these wines have to offer. They’re delicious and varied and often surprising: Just like great Chianti should be.